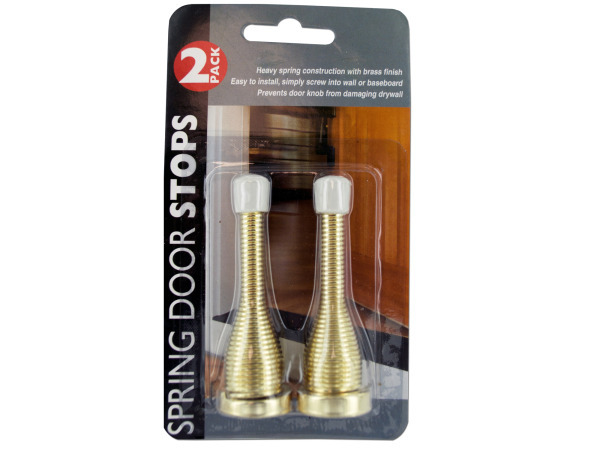 Spring door stops have a heavy spring construction and prevent doors from damaging drywall. Easy to install. 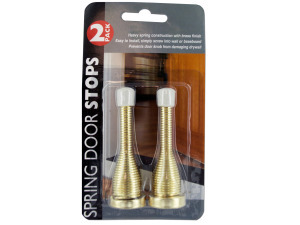 Set comes with 2 brass-colored door stops. Comes packaged on a blister card with hanging hole. Each door stop is approximately 3" long. 12 pcs. 24 pcs. 36 pcs. 48 pcs. 96 pcs.